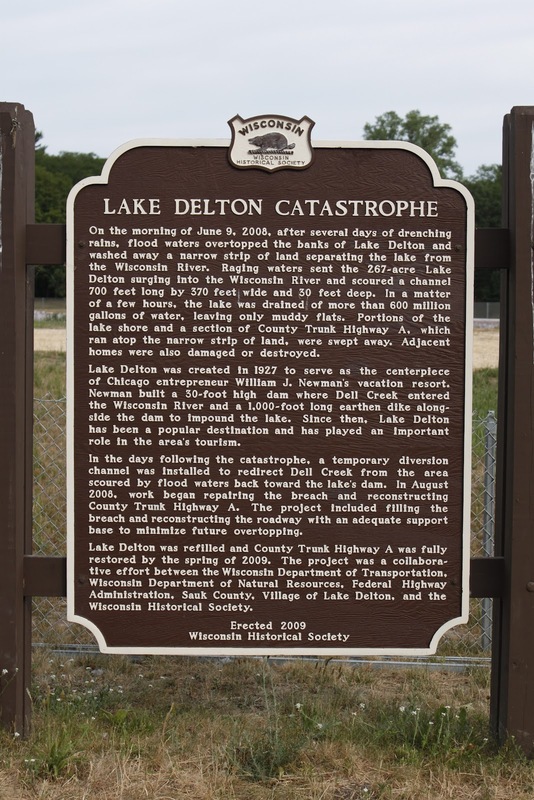 On the morning of June 9, 2008, after several days of drenching rains, flood waters overtopped the banks of Lake Delton and washed away a narrow strip of land separating the lake from the Wisconsin River. Raging waters sent the 267-acre Lake Delton surging into the Wisconsin River and scoured a channel 700 feet long by 370 feet wide and 30 feet deep. In a matter of a few hours, the lake was drained of more than 600 million gallons of water, leaving only muddy flats. Portions of the lake shore and a section of County Trunk Highway A, which ran atop the narrow strip of land, were swept away. Adjacent homes were also damaged or destroyed. Lake Delton was created in 1927 to serve as the centerpiece of Chicago entrepreneur William J. Newman's vacation resort. Newman built a 30-foot high dam where Dell Creek entered the Wisconsin River and a 1,000-foot long earthen dike along-side the dam to impound the lake. Since then, Lake Delton has been a popular destination and has played an important role in the area's tourism. In the days following the catastrophe, a temporary diversion channel was installed to redirect Dell Creek from the area scoured by flood waters back toward the lake's dam. 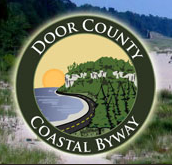 In August 2008, work began repairing the breach and reconstructing County Trunk Highway A. The project included filling the breach and reconstructing the roadway with an adequate support base to minimize future overtopping. 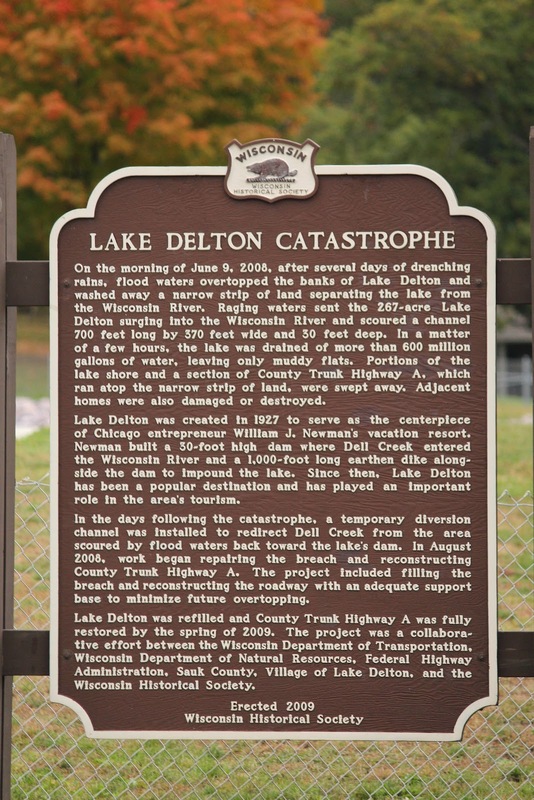 Lake Delton was refilled and County Trunk Highway A was fully restored by the spring of 2009. The project was a collaborative effort between the Wisconsin Department of Transportation, Wisconsin Department of Natural Resources, Federal Highway Administration, Sauk County, Village of Lake Delton, and the Wisconsin Historical Society. 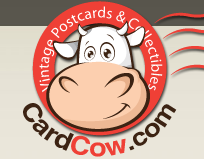 The marker is located on Dam Road, at its intersection with Old County Highway A, Wisconsin Dells, Wisconsin 53965. The marker is visible from County Highway A, between East Hiawatha Drive and Canyon Road. From the marker location, there is a lovely view of Lake Delton to the left and the Wisconsin River to the right. With Lake Delton in the background. The marker is next to a parking lot at Lake Delton Waterfront Villas.